The Yok and long-time collaborator Sheryo have taken to New York to paint a 4 floor abandoned police precinct in the East Village with 40 other artists. 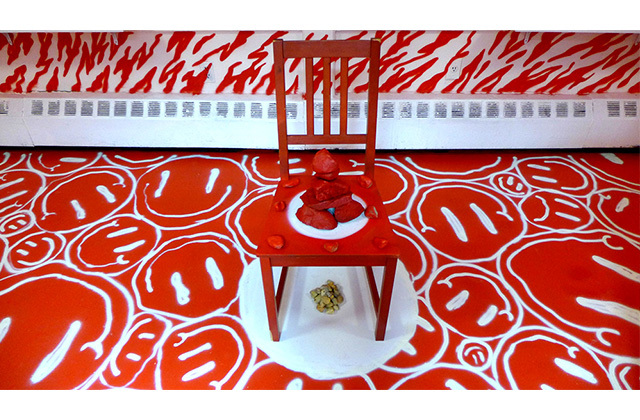 The pair painted a whole white room using just red paint, and labelled it a “wizard mushroom themed room”. The installation opens on Saturday August 23 and will run for 2 weeks before the building is demolished, and will be held at 327 East 22nd St, East Village, NY.